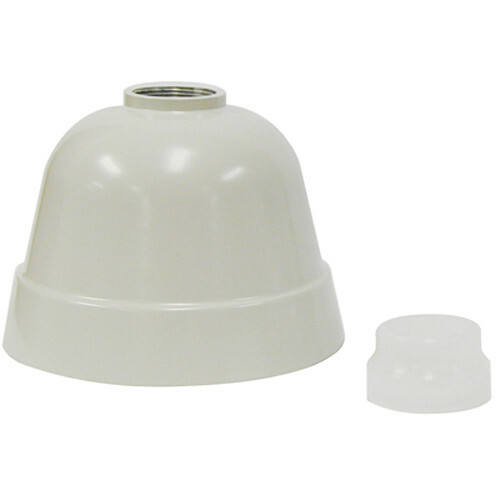 The beige PS484S Indoor/Outdoor Pendant Shroud Adapter from Panasonic is compatible with the WV-NW474, WV-CW474, WV-NW484, WV-CW484, WV-NW502S, and WV-CW504 cameras. It has a 1.5" NPT thread that attaches to the 1.5" thread on the PWM20G, PWM20GB, and PWM20GS wall mount brackets for easy wall/pendant mounting. The adapter features an all-aluminum construction for durability.